Research and Public Welfare: Working with the French, We Can Have Our Cake and Eat It Too! The US healthcare system is a system that ultimately prioritizes research. However, that is not to say we cannot have public universal healthcare. No system can offer absolute public welfare without taking away funding from research, but there can be a system that doesn’t take away as much. Keeping the research oriented priorities in mind, the US can still adopt a sort of inverted French healthcare system to provide public universal healthcare without significantly hindering medical and pharmaceutical research. The World Health Organization praised France for having the best healthcare system in the world. Indeed, they are often touted as having the closest to perfect system in terms of patient satisfaction, and their system works because it is regulated but not socialized. 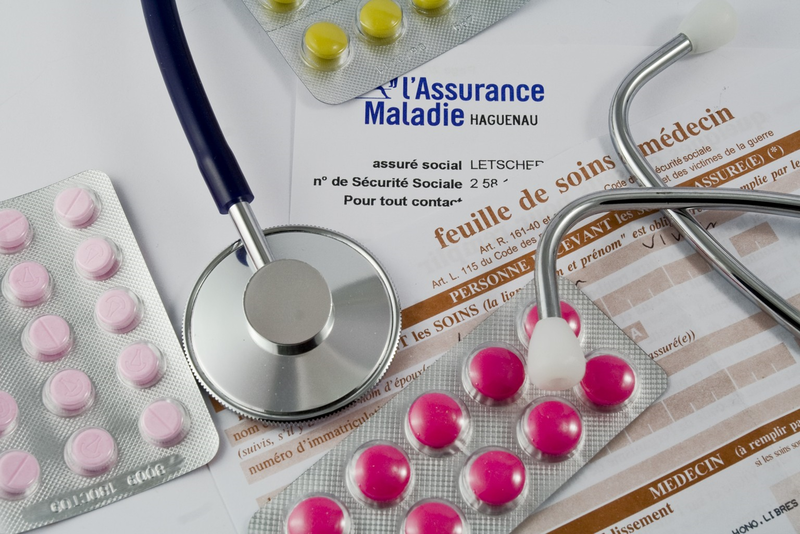 The French healthcare system is delivered through their Social Security(SS), and financing their SS works much like ours; much of the money for SS comes from income and payroll taxes. This money is then used to insure patients through general funds, and this general fund covers around 70% of all expenses. The rest of the amount owed is either paid out of pocket or through the more popular choice of voluntary insurance. This voluntary insurance works much like the private payer of the US and is often offered through employment. So, on paper, it seems that the French have most or even all of their healthcare costs covered, which is true. However, the French government plays a big role in these prices. Unlike the US, the French regulate and control the costs of medical services, products, and pharmaceutics. For example, doctors are often paid much less in France than the US. So, these lowered costs are more easily covered by both the public insurance and the voluntary insurance. Therefore, to follow any model of the French healthcare system, some regulation of costs would be necessary. For the US, and to preserve the goal of research rather public welfare, absolute regulation is not necessary – just some to limit the financial burden on the government. Rather than having SS pay for the majority, the US could complement private insurance. Of course, this would require that the person have insurance in the first place, now mostly possible due to the Affordable Care Act (ACA) and its individual mandate, requiring everyone to have insurance or suffer penalties. Therefore, the US need only cover the gaps not paid by the private insurer. Further, the US government would also have to regulate either insurance payment or cost. To avoid significantly hindering research in the US, regulating insurance payments would not interfere with funding research. To regulate costs means to ask physicians, medical technology manufacturers, and pharmaceutical companies to relinquish money from funding in order to serve the public welfare. Thus, the US can adopt an inverted French healthcare system and regulate insurance companies to achieve a public universal healthcare. With the ACA requiring everyone to have insurance, the first step of this proposal is met: almost everyone will have some level of insurance. The person will have their choice of what insurance to get, but to get people to choose the right insurance, the patient will have to pay premiums and some amount of copayment for services. After all, if there is absolutely no cost to the patient, everyone in the nation will, undoubtedly, choose the best – and often most expensive – coverage policy. However, if that is the scenario, that the patient should able to afford such prime insurance that all needs and wants are fully covered, then there is no need for that patient to be a part of the supplemental SS insurance. Perhaps, in those situations, a tax break could be offered. Otherwise, SS can then pay for coverage gaps in a person’s private insurance, and such funding will come from where it always has: mainly payroll and income taxes and, if need be, subsidy by other government bodies. Now, the SS payment need not cover all copayments or costs. 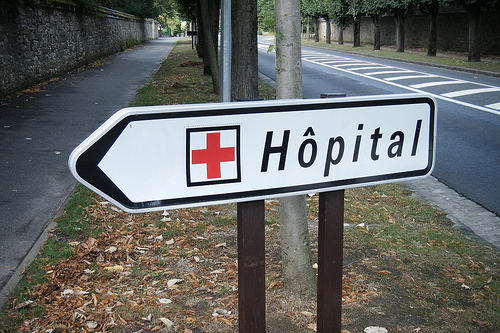 In France, patients still have copayments, though they may simply be an extraordinary low. The US can and should follow suit. The key costs to keep would be insurance premiums. To avoid excessive costs to both the healthcare system as a whole and to the supplemental SS system, patients should be made aware to buy only what is necessary to their needs. This, again, is to emphasize the concern patients must establish in choosing healthcare. Putting in baseline copayments – even if nominal – will tell the patient what can be considered a costly or non-preferred treatment. There will need to be some insurance regulation. For if there is no insurance regulation, insurance companies court contract with providers to let the federal government bear the financial burden instead of the private insurance. So, there has to be some regulation that deters or otherwise prohibits insurance companies from diverting costs from themselves. There can be no solid solution without great deliberation, but a good starting point would be a percentage coverage regulation. Such a regulation would require that the insurance cover some reasonable amount that does not greatly deviate from what they would cover had the patient not have a federal gap coverage plan. As for physicians, reimbursement rates would be on par with Medicaid or medicare reimbursement rates, relatively low. On that note, this plan would take the place of Medicare but not in the place of Medicaid. 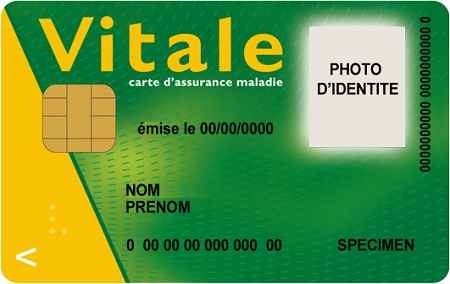 Like the US Medicaid, French Social Security offers healthcare to those who are poor. The poor would not have the option to purchase private insurance to later be supplemented by SS coverage. Medicare however, is not inherently for the poor, merely the elderly, the permanently disabled, and those with end-stage renal disease. So, Medicare should be replaced with this proposed private-SS coverage plan. The general French system offers coverage for those who have worked. Those who are poor or have not worked at all are given a special fund for their coverage, often subsidized by the wealthy and working. Implementing this in the US, states could keep their Medicaid, of which the federal government subsidizes. However, Medicare will be eliminated and replaced with this proposed inverse French Healthcare system. Though, no significant harm shall come of this. Private insurance companies can and will step in to cover seniors with specific plans designed to cater to the medical needs of the elderly. In fact, much of that already occurs now. Medicare Part C is a plan handled almost exclusively by a private insurer instead of Medicare. When an elderly patient needs a plan that caters to their personal needs – of which Medicare cannot meet – patients are able to seek out Medicare Part C plans through private insurers. Therefore, this inverted French plan is no different than putting every elderly person on Medicare Part C. There are, however, some elderly patients who are unable to afford private insurance. In the US, about 10% to 11.5% of those above 65 live below or at the poverty line. For those patients, Medicaid would apply. This way, the vast majority of the population will be covered without extensive inhibitions to research funding. An inverted French healthcare system can benefit the general welfare of the US. Granted, this does come at a slight cost to funding research. The coverage gap, of which would have been normally paid in full out of the patient’s pocket, is now paid at a lesser rate due to this proposed federal coverage gap insurance. However, this is a small cost to pay for the public welfare of the US citizens. Categories: comparative law, France, healthcare, medical research | Tags: ACA, Affordable Care Act, assurance, Center for International and Comparative Law, comparative law, France, French healthcare, French law, health insurance, healthcare, insurance, medical research, securité sociale, socialized medicine | Permalink.